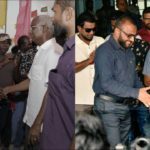 Visiting four islands in Raa atoll as the campaign enters its final weeks, President Abdulla Yameen made numerous pledges and dialled up attacks on the opposition, who were “two or three miles behind” his economic development agenda. He labelled the alliance a “cocktail coalition” of former rivals who fail to agree on fundamental issues, such as repealing constitutional amendments and the ideal system of government. 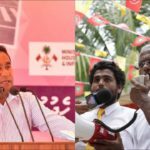 The main opposition Maldivian Democratic Party favours switching to a parliamentary system but its three coalition partners disagree. The coalition is yet to merge the four separate manifestos into a single one. Yameen’s re-election manifesto has not been made public either. The president pledged to reserve half of company director’s boards for women and to encourage more women to run for parliament. 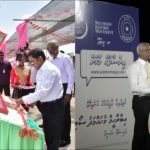 In contrast to the MDP’s privatisation policy, Yameen said he has revitalised state-owned enterprises such as the Maldives Industrial Fisheries Company. He also alleged “fraud” in the 25-year lease of the international airport to Indian developer GMR, which was later paid US$271 million as compensation for the wrongful termination of the concession agreement. Yameen reiterated that the airport deal was an “economic crime” that caused heavy losses. 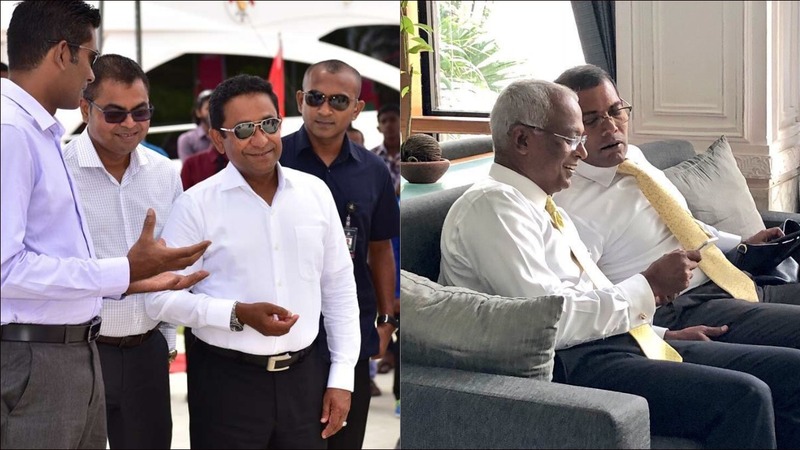 Joint opposition candidate Ibrahim Mohamed Solih ‘Ibu’ joined exiled former president Mohamed Nasheed for a rally in Colombo, drawing a large crowd of Maldivians who live in Sri Lanka. The pair spent an hour and a half taking selfies with supporters. 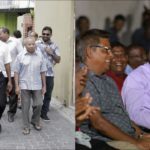 The time has come to lift up the fallen nation, Ibu said, quoting from an old poem and calling the September 23 vote a chance to bring an end to the injustice that forced opposition leaders into exile. 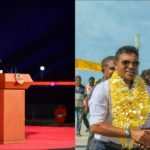 He pledged tuition-free higher education in the Maldives and interest-free long-term loans for students who want to earn degrees overseas. 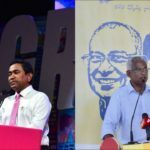 In response to Yameen’s question about how his pledges would be fulfilled, Ibu said he would stop wasteful expenditure and theft from the state budget. He also pledged to restore ties with Qatar and Iran and to repair relations with neighbours India and Sri Lanka. Adhaalath Party deputy leader Ali Zahir said forming a “cocktail coalition” with leaders of different ideologies was an achievement and a source of pride. It shows the four leaders placed national interest above themselves, he said. The coalition has also proven the president wrong by fielding a single candidate, Zahir said.